Tuna contributes at least USD 42 billion in end value to the global economy each year, making it the world’s most valuable fish, according to a report by Pew*. In addition to canned tuna being a much loved inexpensive staple protein in households around the world, tuna is also sold at high prices for its premium flesh used for steaks, sashimi and sushi. According to the study, 4.99 million M/T of tuna was landed by commercial fishing vessels in 2014, up from 4.6 million tons in 2012. In 2014, the estimated amount paid to fishermen, the dock value, was USD 9.8 billion. The total amount paid by final consumers, the end value, reached at least USD 32.9 billion, or USD 42.2 billion when including the price of the full canned product; so also including the value of oil which is sometimes added as an ingredient. 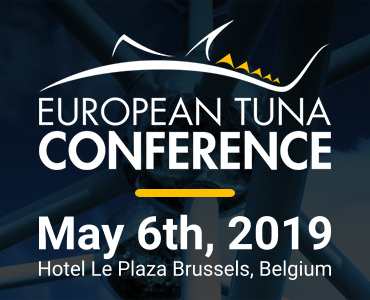 The seven most common commercial tuna species; skipjack, albacore, bigeye, yellowfin, Atlantic bluefin, Pacific bluefin, and Southern bluefin, are some of the most economically viable fish in the world and are found in waters all around the globe, and are all being caught in the wild. 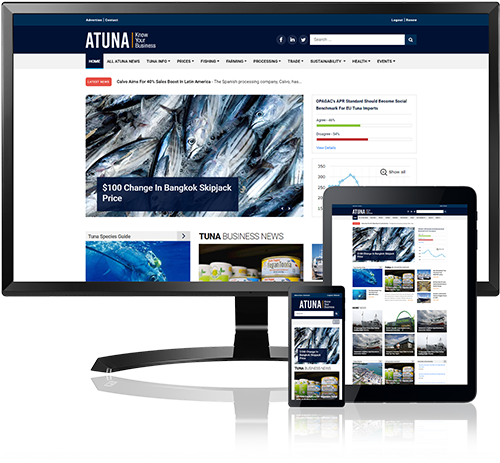 More information on the different tuna species can be found in Atuna’s Tuna Species Guide. Purse seine vessels catch the majority of tuna landed worldwide, and 61 percent of the end value of the total tuna catch comes from this fishing method. Read more about different catching methods here. The most extensive tuna fishing grounds are found in the Pacific Ocean, which is also the largest contributor to the total global tuna sales. The end value of all Pacific caught tuna (the Eastern, Western and Central Pacific combined), including the full canned tuna product price, reached USD 28.5 billion in 2014. Sales of tuna from the Pacific made up two-thirds of the global dock value and end value in both 2012 and 2014. The Indian and Atlantic oceans follow in second and third place. In 2014, 1 million metric tons of the main commercial tuna species’ was caught in the Indian Ocean, worth over USD 8.7 billion at the final point of sale. The same figures for the Atlantic Ocean were 470,000 M/T with an end value of over USD 4.5 billion. Vital to the global economy, the billion dollar tuna industry is highly important to both businesses and local communities around the world. Some of the biggest threats to this crucial sector are overfishing and unsustainable management of tuna resources. *The data you find here comes from an independent study on the global value of tuna fisheries which was commissioned by Pew and conducted by Poseidon Aquatic Resource Management Ltd., a UK based independent fisheries and aquaculture consultancy. The statistics are based on information gathered on tuna fisheries and markets for the years 2012 and 2014.